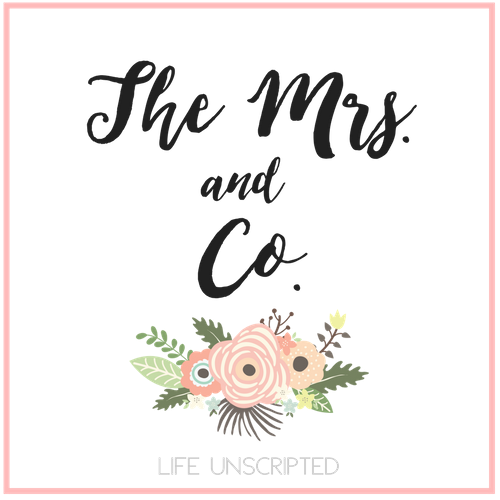 Our Infertility Journey - The Mrs. & Co. I know I've been MIA from the blogging world and I apologize! Some of you even checked in on me and that is so sweet! Baby and I are doing fine and I know I'm SUPER late on my week 12 update, but my computer isn't reading my camera memory card so I'm having to wait for a friend to send me my camera cord that she borrowed. So it's looking like I'm going to have to do week 12, 13, and 14 together! I was super late on week 12's update and tomorrow's is week 13 and my camera cord won't be here for at least a week. Oy vey! So to tied you over till then, here is a picture of our beautiful baby that we got to see on Friday. Look at that little nose! I could just kiss it all day long! Also, since we started our IVF journey I have been keeping a video diary of our experiences. I got this idea from a friend of mine who also went through IVF. It was her way of sharing their story without crying. Because let's be honest, talking about our experiences and reliving the hell that we have all been through is not something we like to do. So I hope this video gives you some insight into what Kyle and I have been though and also to see our hearts and what we hope God will do through our story. Thank you again to everyone who checked on me when I didn't post my weekly update :) I promise there will be an update as soon as I get my camera cord! Your baby is looking gorgeous! I love the video idea such a great way to share your story. such a precious nose ;) Praying for you! Hope week 13 is a sweet one!!! LOVE the video :) made me so happy for you all over again!!! God bless your sweet little family. My husband and I have been ttc for 14 months and have our first appt with a fertility specialist this week. Your story gives me hope and I love reading your updates and seeing your little bump grow! Take your chance for a journey to an education universe with this https://persuasivepapers.com/how-persuasive-essay-looks-like/ post! You shared very nice and detail information with us .This article contain very useful things for us I am very excited about this one it is so nice and very useful to us.Thank you for this information .I expect this kind of important information in future also so keep it up this nice work.